Last week I wrote a post about my struggles with designing and how I often felt I just wasn’t good enough. I knew I was putting myself out there and wasn’t sure what the reaction would be, I even thought some people would be offended about my rant about “perfect” Instagram feeds maybe hiding not-so-perfect lives. So when so many of you commented here or on social media about how you shared the same fears I was more than surprised: I was dumb struck. It took some courage for me to hit “Publish” that day, and I thank you all SO much for your own courage to come out and say “yes, I’ve been there too”. Each and every one of your comments has helped others and me see that we are not alone in our difficulties, and as Brene Brown would say: empathy is the antidote for shame. When we share our shame experiences with others and realise we are not alone that feeling of not being good enough starts to shrink. We see that is OK to be imperfect, slow and insecure because despite our constant self talk that “only I am finding this so difficult” it turns out we are all imperfect together. So THANK YOU. For putting yourself out there, for your honesty and courage to keep it real with me. I could’t be more grateful to have found this fibre community. A few years ago I got very obsessed with make up, so much that I created a blog and YouTube channel. In the online make up world YouTube videos are very popular, I guess they are a kind of video podcast where people talk about their favourite products and share great tutorials. One of my favourite types of videos were the “monthly favourites” where each YouTuber would share their favourite products of the month for skin, make up, hair and sometimes non-beauty favourites as well. I was thinking about new ideas for the blog and thought that I could do my version of monthly favourites, with new patterns I have favourited in the month, yarny tools/accessories I am enjoying, favourite WIP, FO or yarn and some life favourites as well. I don’t want these posts to have a very structured format cause I don’t want to end up choosing a favourite yarn of the month if I didn’t really have one, so I will improvise as I go but I think it will be a fun way to wrap up the month. I won’t put too much detail into these and will opt for making individual posts for things I want to share in more depth with you, such as FOs, WIPs, yarn acquisitions, etc. FOs: just one, a cosy shawl I crocheted for someone very close to my heart while I was in Chile. It was my own design and would like to release it eventually, just need to find the time to write it down and make another sample. In the meantime you can see a sneak peek below…! WIPs: Apart from the FO I just mentioned, during January I worked on my new shawl design and I also started the Owls jumper by Kate Davies as part of a small KAL we are having at my local knit club. I think I’ll do a post for this later in the month to tell you how its going (in one word: BIG). WIPs on standby: I started a pair of crochet socks by Kat Goldin in the plane and one of the shawls from the Crochet Project but they are both on standby until I finish my shawl design. Has anyone crocheted socks before? Would love some pattern recommendations 🙂 Also on standby are my Freyja shawl by Aoibhe Ni and my Red Robin shawl by Helen Stewart. Both were giving me a headache for different reasons (a complicated chart and a dumb mistake that requires loads of unknitting) so they are in the naughty corner until further notice. For knitting I have been obsessed with hats and garments, while for crochet I am always looking for something different and the shawls by Yarn and Style definitely hit the mark. Simple, modern and with great use of colour: now that is the crochet I want to see more of in Ravelry. I think it has to be my shawl design. It has been a love/hate relationship since I started it but overall I am very proud of it so far. Just can’t wait to put it down though… 🙂 For now I will only share the yarn that I am using: some lovely Ginger’s Hand Dyed Yakety-Yak 4ply, you can see one of the colours I am using below… isn’t beautiful? 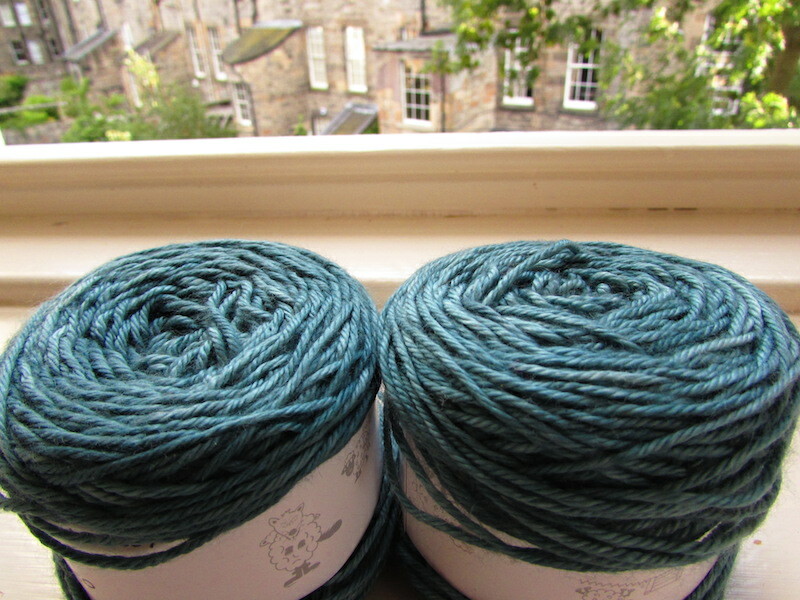 I haven’t worked with this yarn but it was my favourite purchase while in Chile. It merits its own post but all I will say is: merino yarn in natural shade handspun by Chilean artisans in Patagonia… stay tuned! I was looking for a small pencil case to use as a notions/needles/hook case to put in my suitcase for my trip to Chile and found this one in Paperchase. It is just perfect, not too big or too small, it has three separate compartments when you open it and the one in the middle has its own zipper which makes it perfect for small things such as stitch markers. Yoga for Bedtime by Yoga with Adriene: I love all of Adriene’s routines and have mentioned her in the blog before, but this was the practice I kept returning to during the month for relaxing and unwinding at the end of the day. It only lasts for 20 minutes so it is very easy to fit it into my evenings. Thank heavens for yoga. Flavoured green tea, particularly Regents Park from Yumchaa Tea. The first time I tried green tea I hated it with my life. Then while in London a few months ago a girl in a stall in Camden Market convinced me to buy this green tea but to only brew it for a minute or two since green tea didn’t need more. Oh boy, I didn’t know what I was missing. This tea is deliciously fruity and is perfect after brewing for just one minute. Marvel Agents of Shield: This show saved me from killing myself during 17 hours of flying time, I’ll be forever grateful 🙂 If you like all things Marvel and want something entertaining but that doesn’t require much brain power then this is your show. Daring Greatly by Brene Brown: This is my third Brene Brown book and it has been my go-to book for those 10 minutes before I go to bed. At first I was a bit disappointed to see that it repeats quite a bit from her older books but it has actually been helpful to revisit some of her insights. If you are feeling stuck in life and looking for some inspiration I cannot recommend this author enough. If you ask me, her book “The Gifts of Imperfection” is the one you should grab first. What are your favourites for January? Let me know in the comments! Loads has happened since I last wrote in this space. I turned 30, visited my family in Chile after more than three years away, I started to learn how to weave, bought (loads) of yarn, started reading Harry Potter again, unsubscribed to Inside Crochet (is it just me or they used to be a lot better?) and much more. 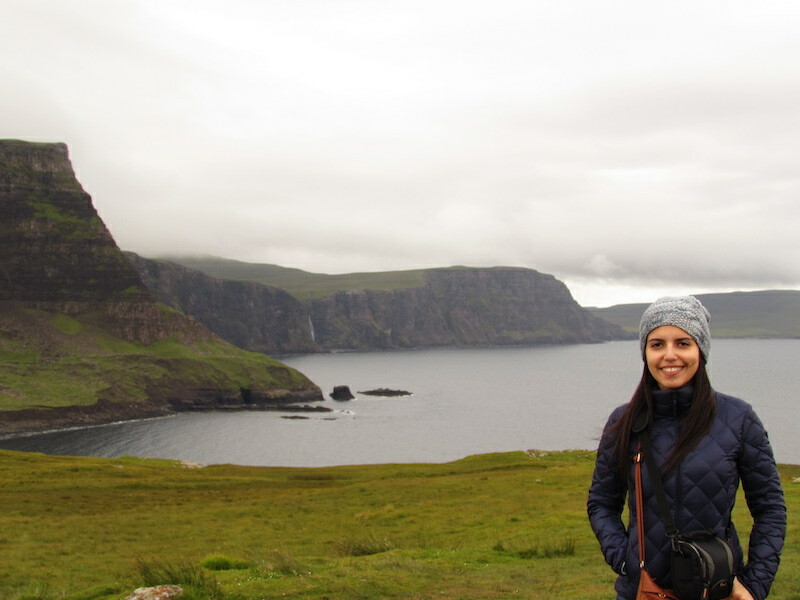 When we decided that we would go to the Isle of Skye for our holidays my sister went immediately to her Lonely Planet guides to find all the places we should visit, while I went to Google and typed “yarn shops isle of skye”. In my search the only shop I found was Shilasdair, which I had seen at the Edinburgh Yarn Festival this year with their beautiful naturally dyed yarn. Once we got to the island however, I was shocked to find a thriving crafts and arts community with little shops spread all around Skye, each one more hidden and remote than the last. All I could think of was: “I need to write a post about this!” So here I am, finally sharing my tips for those of you who may be interested in exploring a different side to the island that does not include hiking! (in case you may not have guessed by now, I am not exactly the “hiking type”…). The following list includes a wide range of shops for those of you interested in crafts and local products, and also a few recommendations for places to eat while you are there. If you decide to go to the island YOU MUST RENT A CAR. There is no other way I’m afraid, and a GPS is also very useful if you can get one. Please be careful in the roads which some are hellish single-track roads with passing places and very little visibility, we witnessed a horrible car accident while we were there so I urge you to be cautious and drive slowly. That way you will also be able to enjoy the most amazing scenery you have ever seen, it is really breathtaking. The list is in no particular order, I tried to group the shops that are close to each other though. 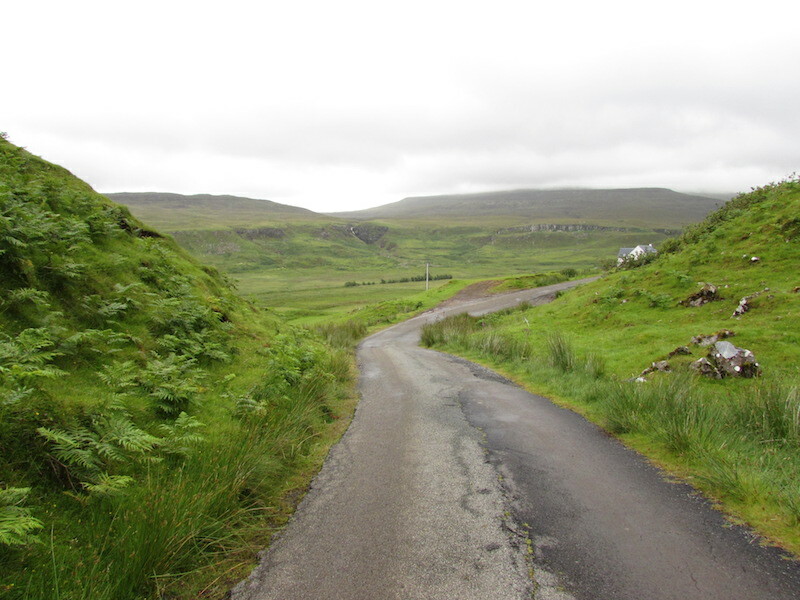 There are much more shops in Skye but these are all the ones I visited and can recommend. 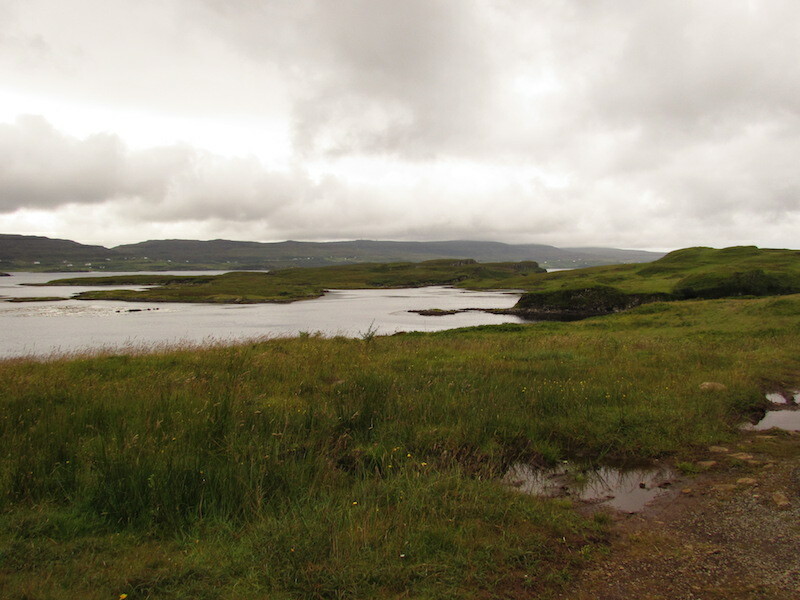 You can also check out www.art-skye.co.uk for a great craft and arts trail. I was not smart enough at the time to think of taking any pictures of the shops, my apologies… I guess you will just have to go and see them for yourselves! Skye Quilt Studio (5A Upper Milovaig, Glendale, IV55 8WY): This shop is on the way to Neist Point, a very popular spot in Skye. Here you will find beautiful fabrics and notions along with very attentive service, my sister bought there this gorgeous multicoloured thread that even I fell in love with and I don’t do patchwork! A must stop for those who love patchwork and quilts. Red Roof Café Gallery (Holmisdale, Glendale, IV55 8WS): We stopped at this little cafe for lunch one day, I recommend it if you are looking for something a bit different using fresh and local ingredients, but probably not if you have any children since I didn’t see any child-friendly food on the menu. They had lovely cakes, scones and my sister had a very nice salmon and cheese. Wheatear Textiles (19 Fasach, Glendale, IV55 8WP): If you like Harris Tweed then this is your shop! Lovely handcrafted accessories, garments and homeware. I got some pretty Harris Tweed buttons from here. 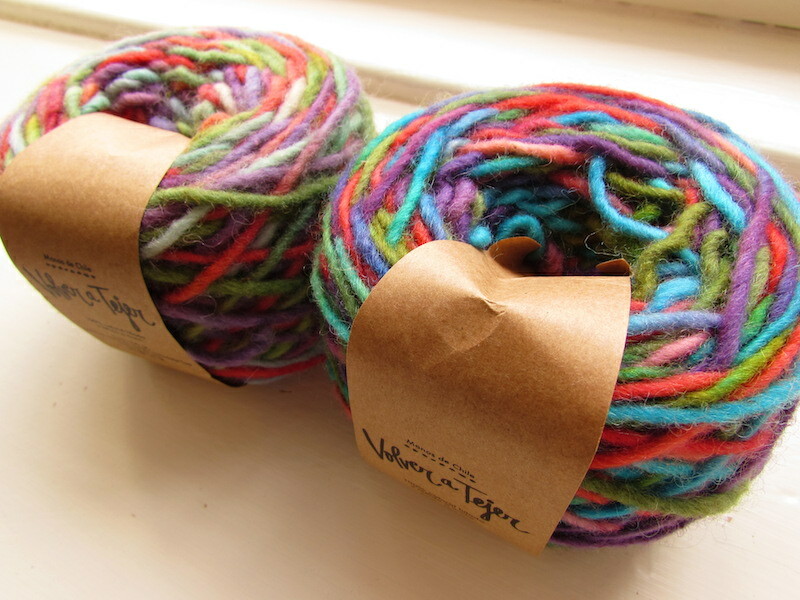 Skye Weavers (18 Fasach, Glendale, IV55 8WP): This shop is run by a lovely couple who create the most stunning woollen products with their pedal-powered loom. I loved their designs and use of colour, it is quite unique. Also, you can give the loom a try yourself! What could be better? You can find them on Instagram by @skyeweavers. Raven Press Gallery (Colbost, Dunvegan, IV55 8ZS): This shop has some incredible prints made with wood engravings, the detail on them is astounding! Really worth a visit. Dragonfly Studio (Brunigill Farm, 3 Skinidin, Dunvegan, IV55 8ZS): I must admit this was my favourite shop of the trip, I actually had to go there twice! 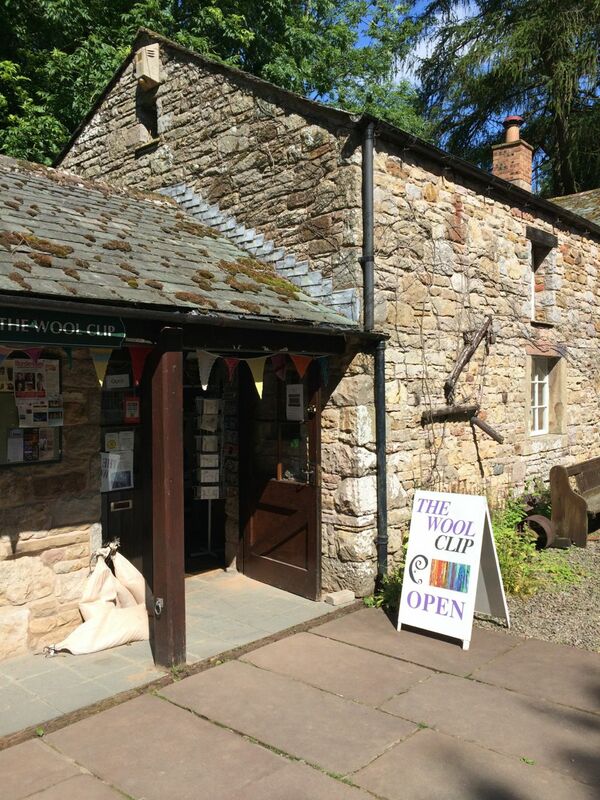 We met Ann at this lovely studio who sells a huge range of textile crafts and artwork, including handspun yarn from their own flock. 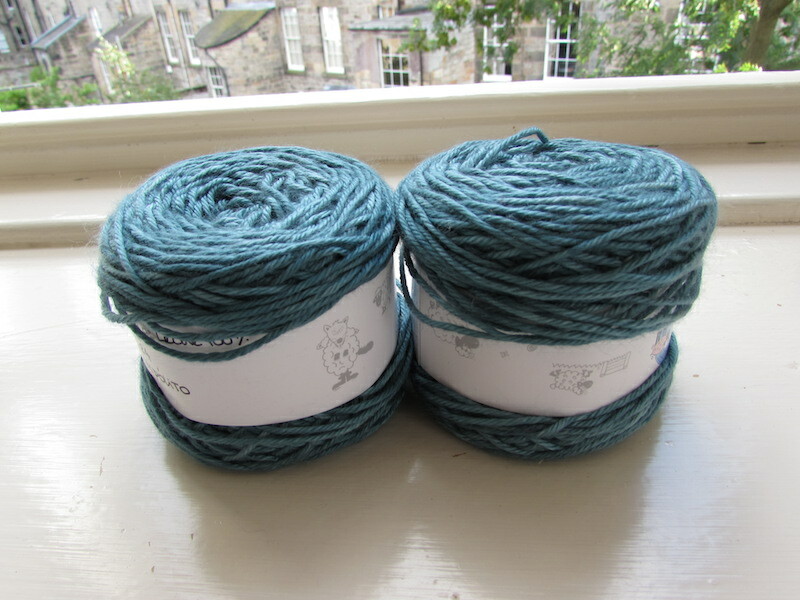 The yarn is labelled with the name of the sheep it came from (I almost cried! ), and it is so beautifully soft and squishy, I just can’t get over it. To top it all, Ann was so nice and welcoming to us both times we were there, you just can’t get any better than that. I will do a separate post of the project I am doing with this yarn, it deserves its own post! Skyeskins (17 Loch Bay, Waternish, IV55 8GD): Another one of my favourites was this awesome tannery located in Waternish. If you love sheep… you will love this shop. First, you get a free tour where a member of the staff takes you through the entire tanning process, here they explain that they only use sheepskin from sheep which are used for meat, that they are one of two commercial tanneries in the UK, and that the process is mostly by hand. They are also very conscious about sourcing locally. Next you get taken to their shop where you can buy rugs, throws, garments and other leather products. I bought a pair of sheepskin slippers and they are OH-SO-WARM, and to top it even the sole is made in the UK. Needless to say, I really wanted to get myself a rug… hopefully one day. Oh, if you can’t wait until you visit you’ll be happy to know you can buy online at www.skyeskyns.co.uk. 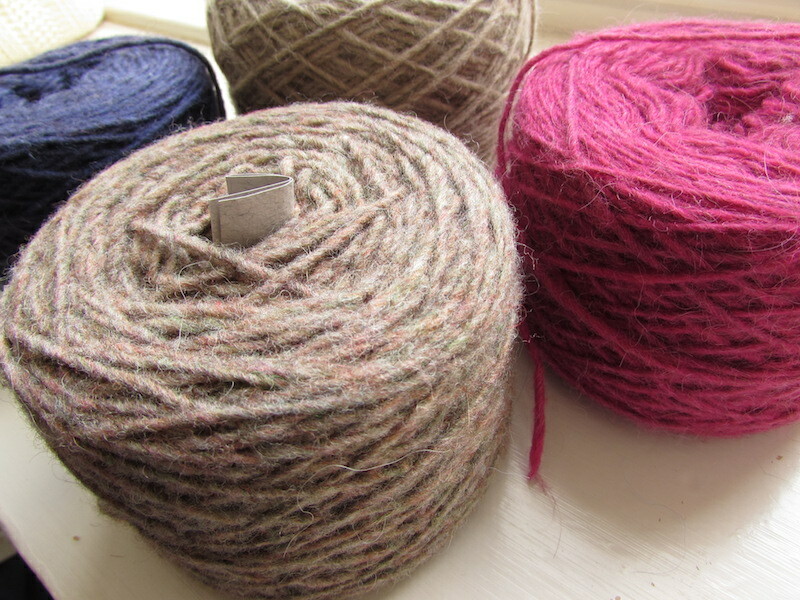 Shilasdair Yarns (10 Carnach, Waternish, IV55 8GL): Of course, if you are in Waternish you must stop by Shilasdair. Beautiful yarns dyed with natural dyes in the most amazing setting. They have quite a big selection of colours and also quite a few of patterns and books. Sam Peare Textiles (Loch View, Endinbane, IV51 9PW): This shop may be tiny, but what lacks in space it compensates on beauty. Sam creates unique embroidered pieces with a vintage feeling, and they are all stunning. She didn’t have much stock on her shop when I visited but it is definitely worth to stop by. You can visit her website at www.samanthapeare.co.uk. Glenview Gallery at The Skye Pie Cafe (Culnacnoc, Staffin, IV51 9JH): I loved this gallery and cafe and it is near the very famous Old Man of Storr. The whole space is decorated with beautiful details all around, the cafe has a really good menu, delicious pies and soups, and they also do takeaway. In the gallery you can find unique pieces including some local yarn and vintage finds. My sister left with the most beautiful set of vintage tea cups, and I am still so jealous she saw them first. A definite must if you are in the area. Handspinner Having Fun (Old Pier Road, Broadford, IV49 9AE): If you are a yarn addict then you will LOVE this shop. Filled with lovely hand spun and hand dyed yarns, as well as some rare breeds and beautiful notions, I was running around in circles like a chicken trying to decide what to get. It is also next to the best bakery in the world… make sure you stop for some bread to take on your journey, you won’t regret it! If you are heading over to Yarndale this year (you lucky people!) then you will be glad to hear the shop will have a stall there, or you can also check the website at handspinnerhavingfun.com. Love from Skye (Main Street, Broadford, IV49 9AE): Just across the road you will find this jewellery shop filled with beautiful pieces created at their own workshop or by other Scottish artists. There is something for every budget, worth a stop. We were only there for three days and there was still so much more to see, including more talented people selling their creations. It was so inspiring to see this community of artists and what they bring to the Isle of Skye, it makes it even more magical and I can’t wait to be back there. Hope this guide is useful for those of you planning a trip there, given that I didn’t find much information until I got there. As you can imagine, I came back with quite a lot of things from my road trip around Scotland, including a vintage 1930 Singer sewing machine I bought at a car boot sale in a small town near Aberdeen (yes… I am that kind of people, I can’t stop myself). I will share my yarn purchases and Lydia (and yes, I name things as well) on a separate post as soon as I can. My yarn stash has grown considerably in the last few months and yarn is sort of taking over the flat. When my sister came to visit this month she brought with her quite a few balls including some lovely handspun, alpaca and wool blends and even milk fibre yarn (first time I had ever seen anything like it before!). 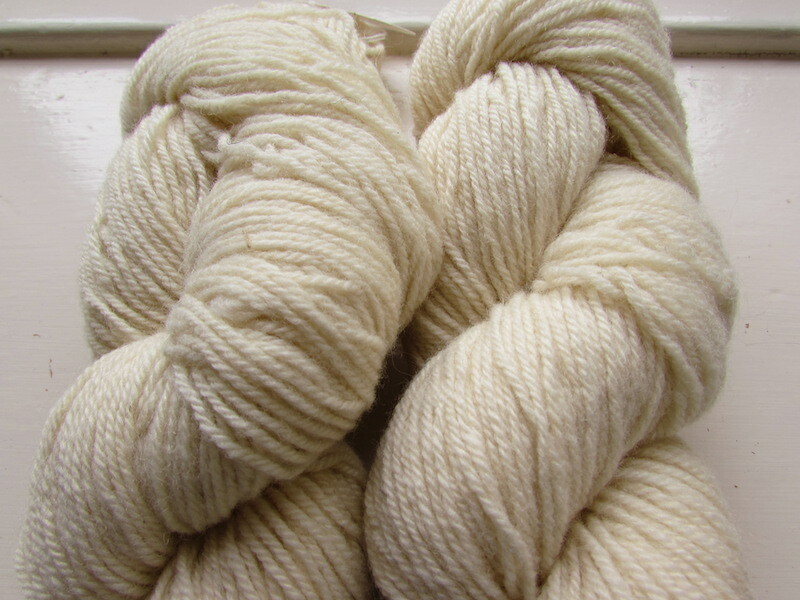 First let me show you this lovely handspun Corriedale yarn. This was the product of an inspiring initiative to train 215 women from rural communities in Chile in the art of handspinning and dyeing. They spun and dyed 15,500 of these balls which were then put on sale in a large department store in Chile. The packs also included a small booklet with patterns and a pair of wooden needles handcrafted by a local artisan. You can see a video (in Spanish) of the project here, even if you don’t understand the language it is worth watching these talented and hard-working people, and see how proud they are of preserving the heritage of our ancestors. I am so happy to be able to work with this yarn and continue this chain of love for tradition and fibre, their faces will be on my mind as my own hands work on what was created with their skilled hands. 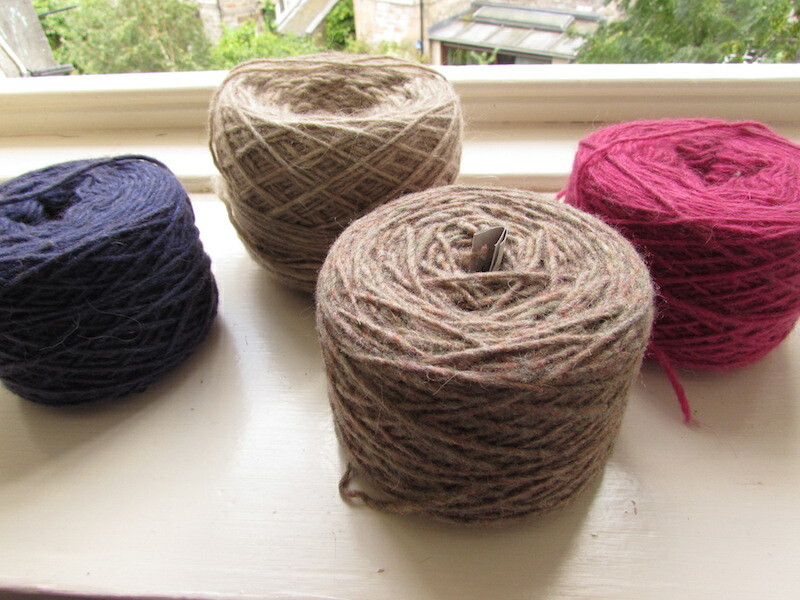 Next I have some beautiful alpaca and wool blend from the south of Chile, I just love these colours and they come in quite big cakes so I am definitely thinking of getting at least one sweater out of this yarn. 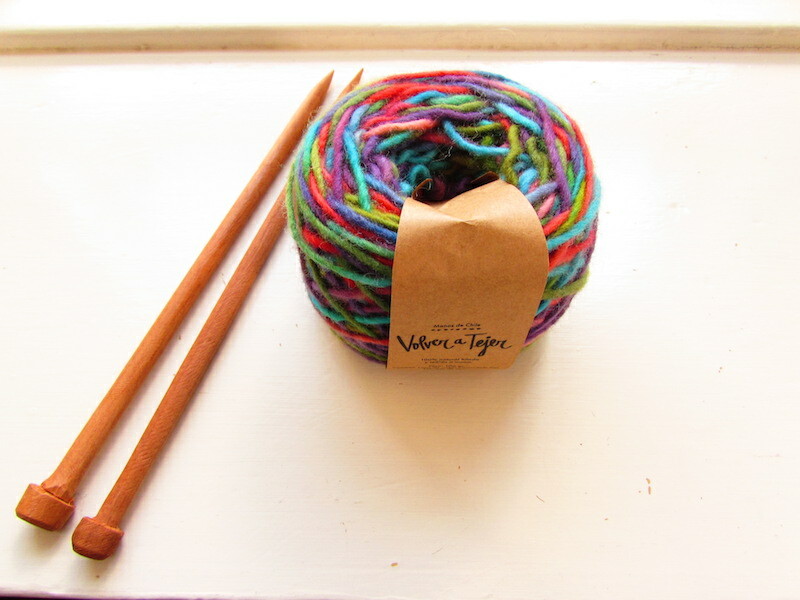 Finally, my mum sent this milk fibre yarn she purchased at a local yarn festival. The colour is so stunning and it is the-softest-thing-ever. I am very intrigued by it and may do a separate post to tell you how these types of yarns are produced once I have knitted or crocheted a sample of it to also tell you how the fabric behaves. 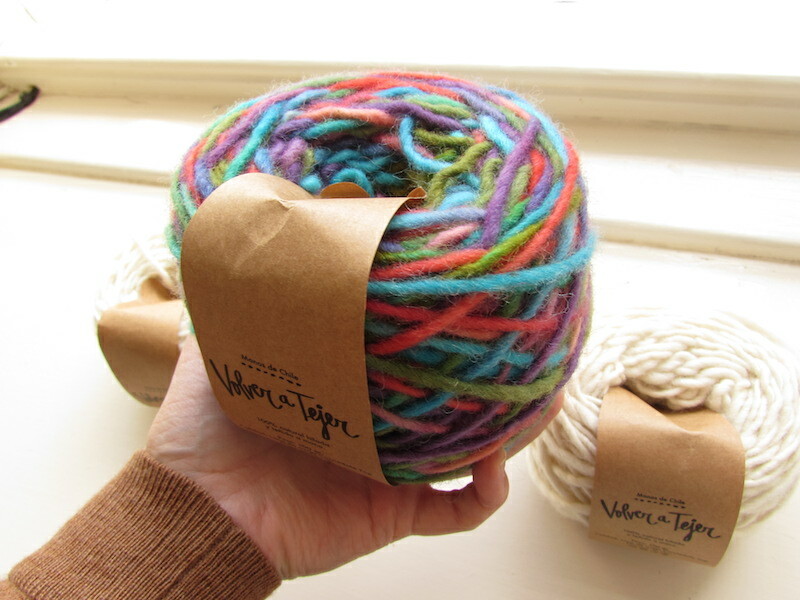 So far I don’t know much except that after a quick Google search it appears it is not the most environmentally friendly of yarns and therefore I don’t believe I would purchase more of it, however knowing this makes me want to make sure that it is put into good use. So when things happen like getting a stomach virus that won’t leave you after a week, it really messes my whole system up. I had planned to write quite a few posts this week, clean my flat, hang out with friends and family that are visiting, but instead it has been work and bed, work and bed. I have been trying to stay positive and not complain or feel sorry for myself, but it is so hard! I know it is not the end of the world, but is so much easier to just feel down. If you have any tips or advise on how to stay positive please share in the comments, would love to hear from you! Since I am feeling a bit better this evening I am improvising in my usually organised routine and I decided to write a blog post that I have been wanting to share for weeks now. 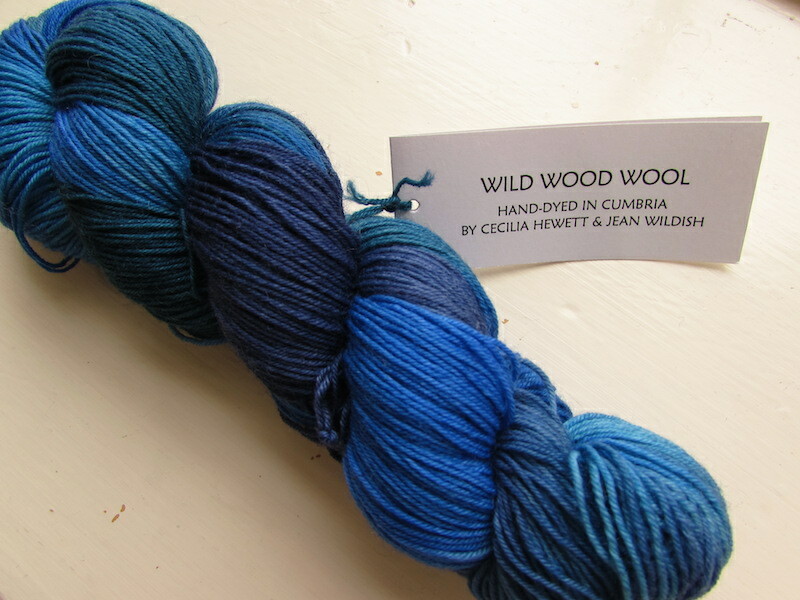 I went to the Lake District for a few days last month and happened to find a flyer for a wool shop on a nearby town, so of course my very-supporting-of-my-yarn-addiction boyfriend had to drive me there to check it out. The shop is called WoolClip and I couldn’t believe how many gorgeous things they had! By creating a co-operative, we were able to raise the profile of our work and create a shop that we could share – each member spends a couple of days per month in the shop and the commission from sales pays for the upkeep. You can understand my excitement at finding such special place. Quoting my boyfriend: “It was like seeing a kid at a toyshop”. It is such an amazing and inspiring model, I wonder if there are more initiatives like this across the country since I think it is a fabulous idea. I wanted to get so many things and after much thought ended up getting some fabulous yarn, including some BFL and Shetland in natural colour by Ruth Strong and a beautiful hand dyed skein by Wild Wood Wool. 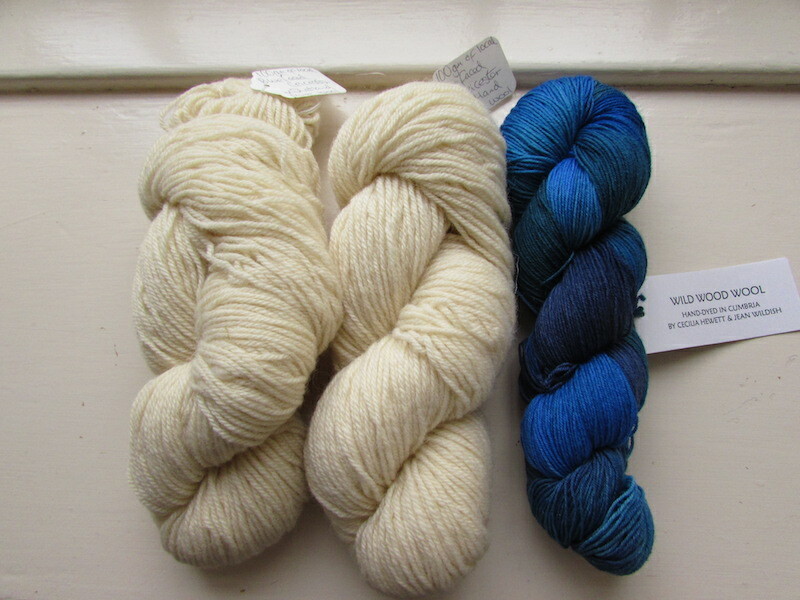 There was no signal to look on Ravelry so I don’t have a project in mind for them, I think the blue one will have to be a nice summery shawl, maybe one from the Shawl Project? I accept suggestions! I think that is it for today everyone, my body needs some rest and nurturing so I am off to my couch with a cup of tea and Say Yes to the Dress. I haven’t had much energy for working on my WIPs, I think right now I just need to allow myself to do something I never do: absolutely nothing.